Each 2-hour party includes 1.5 hours of guided art instruction and activities plus a half-hour for you to use our space to celebrate however you’d like (i.e. gift opening, snacks.) Each party package costs $120 for up to 6 children – add additional guests for $10 each. See more add-on options below. Each guest will create two slime varieties of their choosing to make and take home. Contact Anna at artreachredwing@gmail.com or at 651-212-8624 to book your pARTy today! 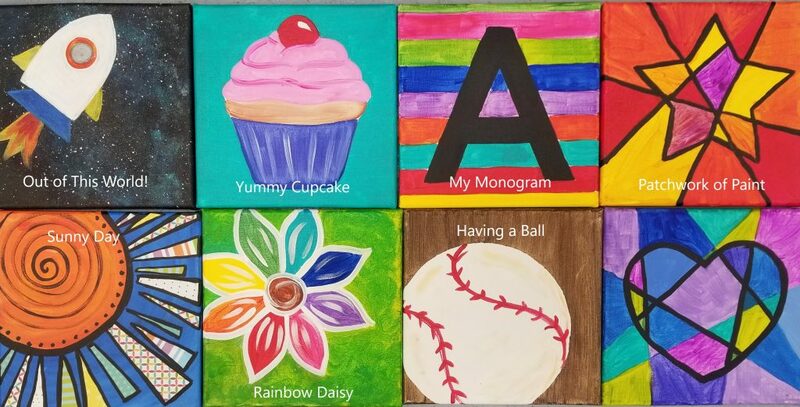 These are the painting options we recommend for kids’ parties.